Our most important asset is our customer’s trust. Your trust depends on how well we keep your personal, business, and account information secure. Our Corporate Information Security Program is comprehensive and proactive to ensure your information remains secure through all banking service delivery channels, including our branch offices, ATMs, the telephone and the Internet. We maintain physical, electronic and procedural safeguards that comply with federal standards to guard your non-public personal information. We use industry accepted security practices that are appropriate for the way you choose to bank with us. No matter how you choose to bank with us, for your protection, we verify you are who you say you are before granting you access to your accounts. Additionally, to protect your information from others, we employ multiple layers of firewalls, SSL packet encryption, and constantly monitor our systems. Safeguarding your information is a serious responsibility. In fact, we believe keeping your information safe and secure is every bank employee’s responsibility. Employee access to customer information is limited to only those employees with a business need for accessing such information, and every member of our staff has pledged to protect confidential customer information. We also encourage you to participate in the protection of your personal information. An excellent source of information on how to prevent identity theft and what to do if you are a victim of identity theft may be found at the website of the Federal Trade Commission. For more information on how we protect your information online and our approach to privacy, you may also want to read our Privacy Statement. Phishing (pronounced fishing) is the latest form of identity theft. Thieves act as if they are representing us and try to “hook” you into providing personal information. Once you’re “hooked,” the thieves can do serious damage to your financial accounts. They can trick you into providing your Social Security number, financial account numbers, PIN numbers, passwords, mother’s maiden name, and other personal information. HomeTrust Bank will never ask you for this information via email. 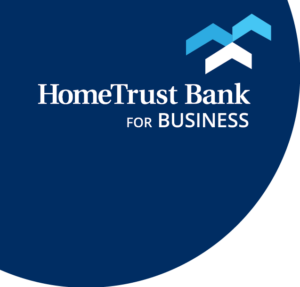 At HomeTrust Bank, your protection is our top priority. You can find out more about avoiding these scams by reviewing our Identity Theft Protection tips. This year, more than 750,000 Americans will be victims of identity theft, according to government and private sector estimates. Identity theft occurs when someone steals your personal information to establish credit, purchase items, or borrow money in your name. Phishing attacks are “spoofed” emails and fraudulent websites designed to fool recipients into divulging personal financial data such as credit card numbers, account usernames and passwords, Social Security numbers, etc. By hijacking the trusted brands of well-known banks, online retailers and credit card companies, phishers are able to convince up to 5% of recipients to respond to them. To assist us in offering financial services in a secure manner, we employ a number of controls described below and in our Online Banking Agreement. These controls allow us to properly authenticate your identity when you access our Online Banking service and protect your information as it travels over the Internet. Many of the financial services we provide on this website use access codes, such as your login User ID and Password. We require the use of secure browsers to protect you while banking online. Secure browsers allow you to communicate with our website in a protected session by encrypting information that flows between you and the site. To verify your session is secure, look for https: instead of http: in the URL address line, and a secure symbol (for example, closed padlock or key) on the status bar of your browser located on the lower part of the screen. For greater security when viewing your account information over the Internet, we require your browser to support 128-bit encryption. To provide additional protection, a timeout feature is also used. This feature automatically logs you out of your account after 15 minutes of inactivity. This feature is designed to prevent unauthorized access to your accounts. We use multiple firewalls to protect our computer systems and your information. Firewalls are barriers that permit only specific types of traffic (transactions) through to our systems. These firewalls are monitored 24 hours a day, 7 days a week to prevent unauthorized entry into our systems. Additionally, some of our products and services use digital certificates and other public key infrastructure services as an added layer of protection. For more about online security, visit the online security page. Do not share your User ID or Password with anyone. Remember, a bank representative will never ask you to provide your Password. Change your Password on a regular basis. If you think your Password has been stolen or compromised in any way, change it and contact us immediately. Use only the secure email service provided within Online Banking when sending or requesting account or personal information. Consider using a personal firewall to prevent hackers from invading your personal computer, especially if you are using DSL or a cable modem to access the Internet. These personal firewalls can be purchased at most office supply stores. Install virus protection software and scan all downloaded software before use. Keep your virus protection software up to date. Always delete emails with attachments from unknown sources before opening them. When you are done with your transactions, always log off the website to exit the application. This is especially important when using a public PC (such as in a library or school). Also, be sure you close the browser when you are finished.